Ah yes, those beautiful wild flowers of James River Retreat — did you guess? As we meander around the retreat, we are always greeted by our beautiful wildflowers. Some are so very tiny that you really need to look to see them — teenie violets peeking through our lawns and ever so dainty white flowers — baby’s breath or perhaps mouse ear chickweed?? Following are a few of our summer time favorites. 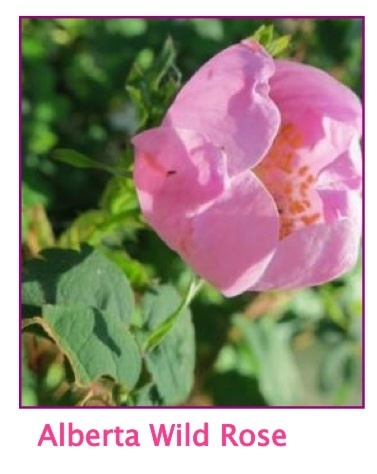 Best known of our wildflowers is the Alberta Wild Rose. This rose was adopted by the Province of Alberta to be our official floral emblem in 1930. The bees and insects are friendly visitors to this flower spreading its pollen throughout the summer season and the rose hips are fodder for our squirrels, birds, deer and moose! There are two little white flowers at James River than might easily be confused. The photograph on the left is a wild strawberry and identification of this flower is easily made. 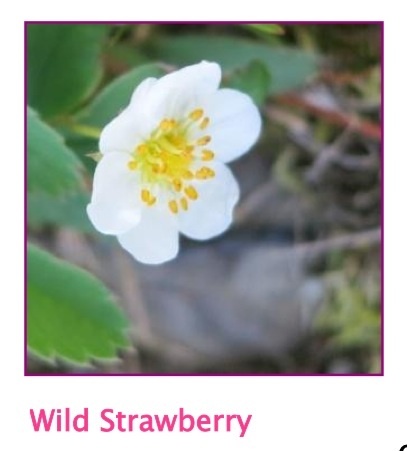 The wild strawberry typically has five petals and it’s leaves are split into three leaflets. You will see that each of the leaflets has teeth on its edge. These plants are creeping plants and have reddish coloured runners that grow on the surface of the soil. The abundance of these lovely little flowers provides a strawberry treat for birds, particularly waxwings, woodpeckers, robins crows and starlings. The leaves of this plant are munched on by deer and small insects and the spring flower provides nectar and pollen for bees and butterflies. Hard working – you bet! Our other little white wild flower is the bunchberry. If you look very closely at this flower you will see that the center contains a cluster of tiny mini flowers. Often you will see this flower around stumps or rotting wood and it can form a low growing dense groundcover. Later in our season it will develop bright red berries which are enjoyed by our deer, grouse and songbirds. 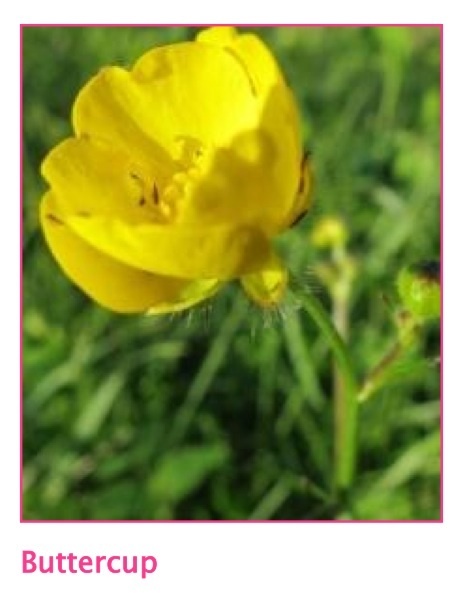 Of course you have noticed the dainty buttercup flowers — they like a more moist habitat. Take a walk almost anywhere in JRR and you will discover a beautiful meadow of buttercups along your way. There are typically 1-4 flowers per plant with each flower having 5 shiny, waxy yellow petals. The plant itself can be up to a metre in height and has a thin stem which sways beautifully in a gentle breeze. Children have long known that if you hold a buttercup flower under your chin on a sunny day, the underside of your chin will be bathed in yellow light! We tried this ourselves and it’s true! 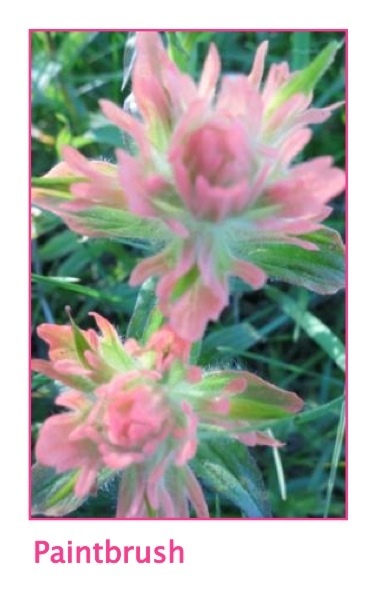 T he common paintbrush flower comes in an assortment of colours from scarlet to soft pink to a buttery white. We have a small meadow in the back of our property where we have all colours of this flower and they bloom in abundance. Our colours at JRR are more pastel than one usually sees in other locations in Alberta where the more common colour of this flower is scarlet. 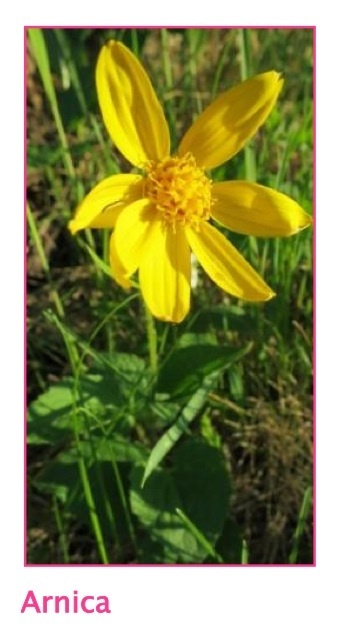 Heart Leaved Arnica — Donna helped me identify this lovely wildflower – it is a new one to me! Its habitat is moist and dry wooded areas and is more common in the western area of our province. When you spot this lovely flower it will probably be solitary to a few stems — not overly abundant but it is out there. Its stems are hairy and it grows up to 60cm tall. An all-time favorite of mine is the avens, prairie smoke or old man whiskers. These nodding, burgundy colored flowers transform into fuzzy whiskers at the end of their flowering. This wildflower is one of our earliest blooming prairie plants with low growing, fern like green foliage that turns red, orange or purple in late fall. Butterflies are attracted to this plant but they say it is not too enticing to deer. 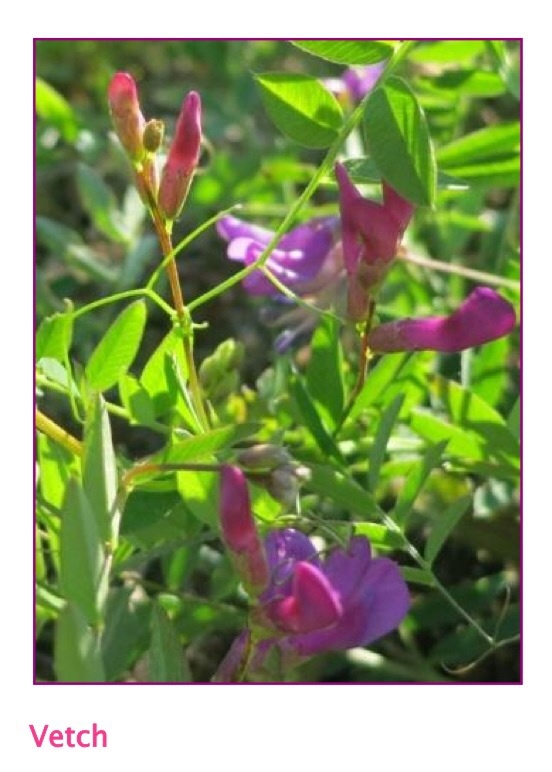 You will find wild vetch abundant at James River Retreat. 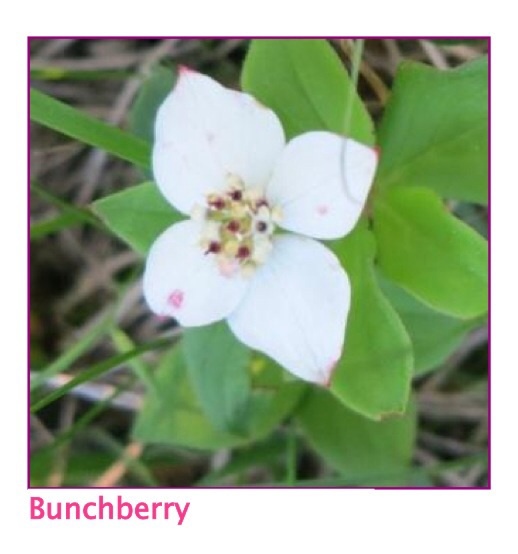 It grows in open woods, thickets and meadows and is frequently seen on gravelly soil. It has 2-9 pea family flowers per cluster and it’s fruit is a smooth, flat pod with round brown or black seeds. Notice that it has forked tendrils at the end of each leaf. Vetches enrich the soil by building up nitrates and they provide good forage for livestock. The Mountain Death Camas is another plant that Donna helped me identify. This plant has waxy, white, six petal flowers with grass-like narrow leaves and is a member of the lily family. It is quite stunning in the landscape but do note that it is slightly poisonous to people and livestock. And of course, how about those fabulous western wood lilies (wild tiger lily). 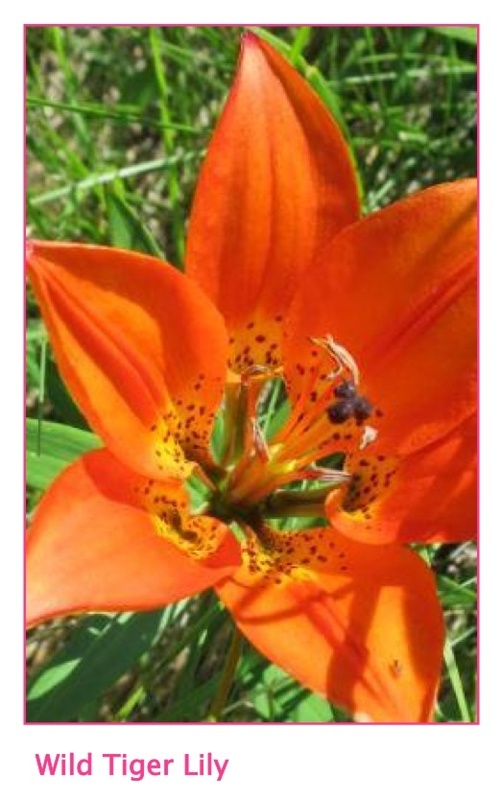 This lily is the floral emblem of Saskatchewan and is becoming increasingly rare because of over picking. Picking this flower removes the leaves which in turn means that the bulb below is not fed and that means the plant dies. This plant also does not typically survive if it is transplanted. So, the best bet is to sit back and just enjoy it’s beauty! These are but a few of our beautiful wildflowers at James River Retreat. Don’t you love the sweet fragrance of the clover? 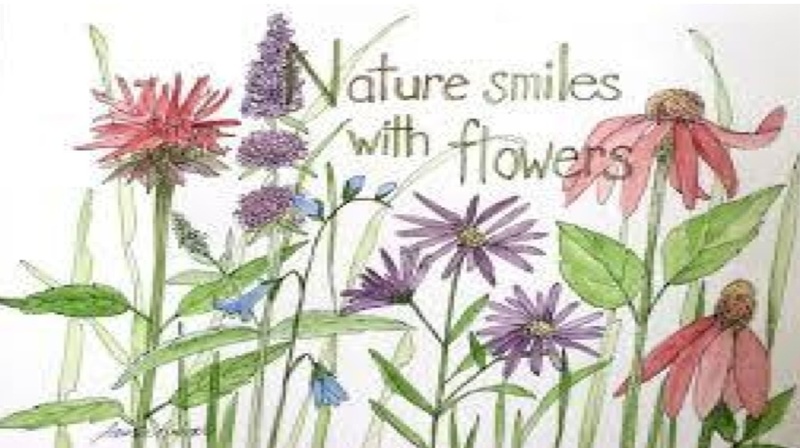 And do look for the honeysuckle vine and the bluebells, the goldenrod, wild geraniums, yarrow and lupines. And dandelions, we’ve got lots of them too. Mother Nature’s Garden, it’s exquisite isn’t it! This entry was tagged avens, bunchberry, buttercup, mountain death camas, paintbrush, vetch arnica, wild rose, wild strawberry, wild tiger lily, wildflowers. Bookmark the permalink.